As the Web Design is a complex field, there are specialized terms referring to different aspects of this area of Website Development. If you are just stepping into web design industry or looking for website designer to design your own website, web design terms and acronyms can be really difficult to deal with. Below there is a short glossary to help you on your way to exploring web design and understanding web designers. Since it is hard to imagine the Web without web design, knowing the terminology can help you better understand how websites work and what makes up a modern-day web design. Check out basic definitions in web design to get familiar with common web design technologies and web designer terms that are used regularly throughout web design and development. GIF, JPEG, PNG: Image file formats that can be used on web pages. PNG graphics have a better compression rate than GIF images which result in smaller images than the same file saved as a GIF. PNG files offer alpha transparency as well as animation. PNG images, like GIFs, are not well suited to photographs. GIF files are always reduced to no more than 256 unique colors. The compression algorithm for GIF files is less complex than for JPG files, but when used on flat color images and text it produces very small file sizes. The GIF format is not suitable for photographic images or images with gradient colors. JPEG (Joint Photographic Experts Group) format can produce a smaller file than PNG for photographic (and photo-like) images, since JPEG uses a lossy encoding method specifically designed for photographic image data, which is typically dominated by soft, low-contrast transitions, and an amount of noise or similar irregular structures. Website Homepage: the entry page of a website. When a user type in a browser a website domain name, the browser downloads the website homepage. Web Page: A web resource that can be accessed through a web browser. A file that contains not only text, but also a set of HTML tags that describe how the text should be formatted when a browser displays it on the screen. User Interface Design: a critical part in the website development. Good interface design can enhance productivity and usability of a site. Intuitive interface includes consistent navigation structure, option buttons, information architecture, and other significant interface elements that meet user expectations. The goal of user interface design is making the user’s interaction as simple and efficient as possible. User interface design must balance technical functionality and visual elements to be not only functional on the web, but also adaptable to user needs and expectations. Website Usability: easy navigation and visual aesthetics are one of the key features in website usability. 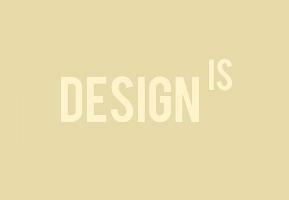 User-friendly design is when a site tends to appeal to users and is clearly and cleanly laid out. It should be easy to move around on for people. If users can’t access the information and topics they want, they may give up and leave the website. Cross-Browser Compatibility: the ability of a website or a web application function well on all modern browsers and platforms. 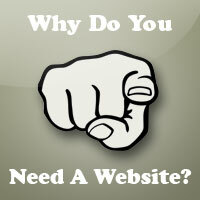 SEO Website Design: search-engine friendly web design. Websites designed with SEO draw target traffic much faster. SEO friendly design combines a variety of creative and technical approaches that cover the creation of website layout, content architecture, navigation structure, fonts, colors, images, link flow, and many other SEO design techniques. In professional website development, SEO and Web Design go hand in hand. Website Templates: Pre-built websites that can be customized to individual needs. Web templates are a perfect choice for novice webmasters having little or no experience in HTML coding and web design. One of the greatest benefits of using website templates is an opportunity to start a great website quickly and easily. You can preview future site and have it running online in short terms. Many templates come with logos, graphics, layouts, and mix attractive design with great usability features. Infographics: A popular tool for presenting complex information in a creative, compact and clear way. The demand for data visualization design is based on that people generally prefer visual representations rather than boring web content. Infographics design should be both eye candy and food brain. The design of icons, infographics and graphic presentations should convey the right message and engage target audience. Infographics design may be in the form of chart, map, table, instruction. Adobe Illustrator: A vector graphics editor developed by Adobe Systems. The latest version, Illustrator CS6, is the sixteenth generation in the product line. Adobe Illustrator is the companion product of a graphics editing program Adobe Photoshop. Flash: Web based Multi-Media technology from Adobe. 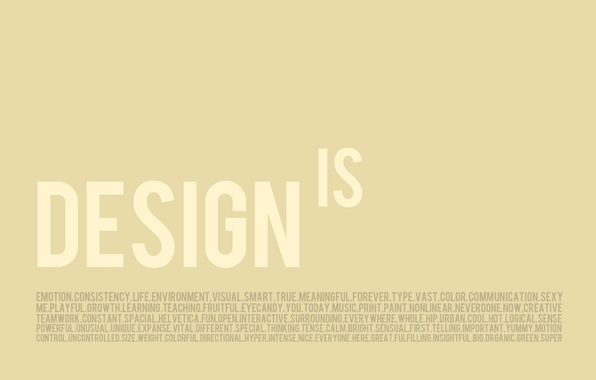 Since the web design is a complex industry, there are many other terms, of course. If you are starting out in the website design and looking for definitions not covered in this glossary, don’t be shy to ask Wiki Web Pedia! In today’s market, a website is definitely a necessity, but with constant technical advances and standardized updates that need to be taken into consideration, building a substantial site that fully represents your brand seems out of reach for many. That’s where a creative media agency such as ourselves come in. We can alleviate the stressful demand for a fast paced, up-to-date, online appearance that will capture audience attention. And follow our blog for the latest digital and web based updates. Moreover, The contents are masterpiece. you have performed a excellent process on this topic!